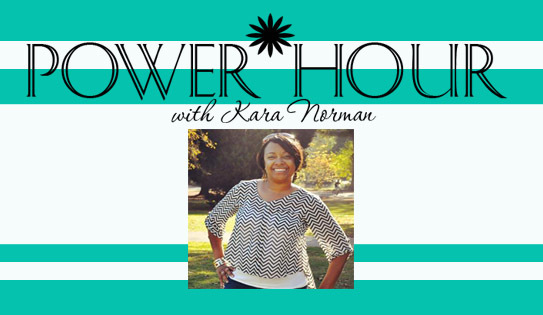 Empower Hour with Kara Norman -Let’s Travel in 2018! Happy New Year Empower Hour Kings and Queens! I was blessed to bring in the New Year on the sandy white beaches of Punta Cana in the Dominican Republic. My hubby and I celebrated our 20th wedding anniversary in December and took the opportunity to get away. It was one of our best vacations and we loved exploring a new country together. It is so important to travel relax and get away from our everyday lives. My husband calls our trips, “investments in our marriage”. I think that trips in general are investments in our selfcare and wellbeing. Even if it’s just a day trip to a new city we should always make time to explore. Need a little inspiration? I love following this Instagram hashtag #essencetravels! There is a whole world out there to see folks! Here is a photo of a picture of a beach that I put on my vision board December 3, 2016. I did not pay attention to the location just put the photo on my vision board. My husband picked this place in March of 2017 and my toes were in the sand on this very beach in Punta Cana December 2017 it works! Cheers to amazing adventures in 2018! Kara Norman - Founder of Empower Her Inc. I found this book last week that I had forgotten. I also found this queen ornament for my tree that same day as well. I then came across this poem in my Facebook memory the following day. I’m on a journey of self care and healing. It’s amazing the power of our thoughts, energy, meditation and prayer what you can draw to yourself. Take some time today to use the power of your thoughts and prayers to draw more beautiful things into your life. I hope this poem helps someone stand a lot taller today! "Only two hands!? No way! And that's just on the standard model? That's too much work for one day. Wait until tomorrow to finish." "I am so close to finishing this creation that is so close to my own heart. AND can work 18 hour days"
"but I have also made her tough. her loneliness, her grief and her pride." "You are a genius, Lord. They are happy when they hear about a birth or a wedding. They grieve at the loss of a family member, yet they are strong when they think there is no strength left. PLEASE pass this post along to all your women friends and relatives to remind them just how amazing they truly are.